Objective short sleep duration is associated with daytime sleepiness, whereas obstructive sleep apnea is associated with obesity, dyslipidemia, and hypertension. Pulmonary Hypertension and Diabetes: Is There a Link? For patients with type 1 and type 2 diabetes, the lung is often overlooked as a target organ. An analysis of data from over 3.5 million patients found comparable clinical outcomes among patients who initiated generics vs those who were treated with brand-name drugs for chronic conditions such as diabetes, hypertension, osteoporosis, depression and anxiety. Remote blood pressure monitoring by a smartphone app effectively reduces systolic blood pressure at 6 weeks. Researchers evaluated the relationship between low-density lipoprotein cholesterol and cardiovascular outcomes in patients with hypertension at increased cardiovascular risk. Patients with plaque psoriasis have a reduced health-related quality of life, mainly in terms of emotional aspects. Hypertension and diabetes are especially prevalent comorbidities in obese patients with chronic obstructive pulmonary disease. 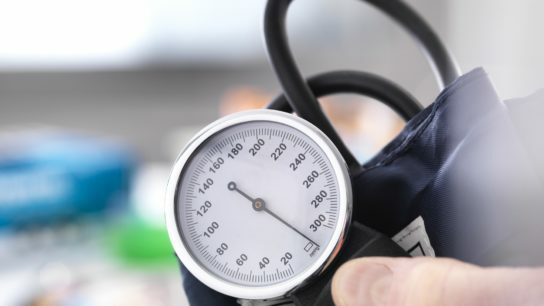 The presence of primary hypertension does not appear to have an effect on the prognosis of postmenopausal osteoporosis. Patients with type 2 diabetes treated with liraglutide experience a greater reduction in systolic BP if they have lower baseline continuous glucose monitoring values and higher diastolic BP.